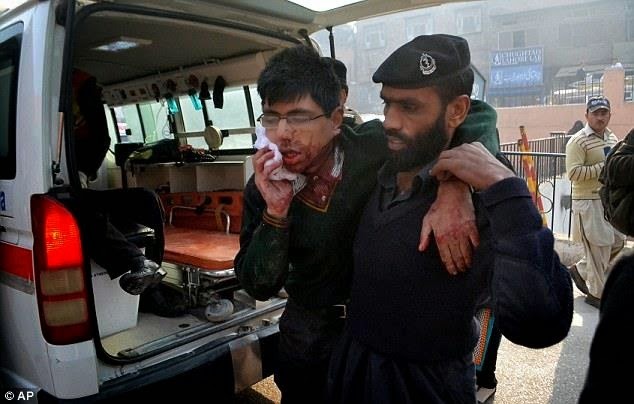 Terrorists today attacked a army run school in Peshawar, the capital of the northern province of Pakistan, leaving 104 school children and one lady school teacher dead, just a couple of hours from now. 8-10 terrorists clad in civil armed forces’ uniform stormed the school and opened indiscriminate firing, resulting into the tragic loss. All killed and wounded have bullets in their bodies. The school is run by Pakistan Army.